The highly anticipated grand opening of SPACES at the Van Rooy Coffee Building will feature two days of celebration on January 14 – 15, 2017. The weekend is designed to showcase the new neighborhood and home of SPACES, as well as the impact we’ve had on artists and audience members for almost 40 years. 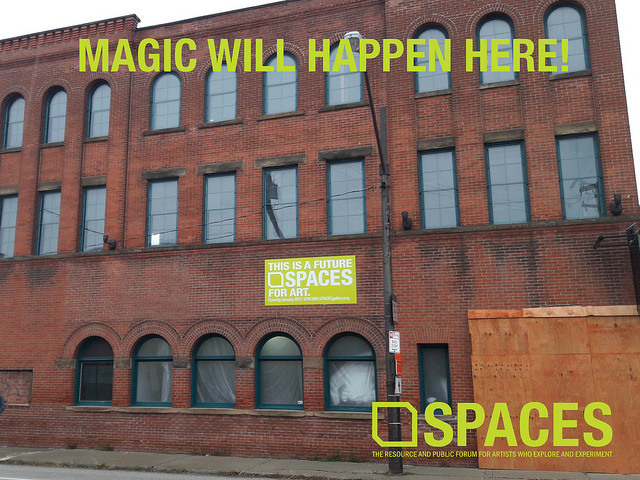 Sponsorship of this event provides a recognizable way for you to plug into and bolster a burgeoning creative cluster located along the Detroit Avenue corridor.